After climbing behind the wheel of the Ford Ranger Wildtrak, I must say that I was pleasantly surprised – this muscular 4×4 is smarter, better and has all the qualities that a bold bakkie in its class should have. The interior of the new range of Ford Rangers’ is resilient and remarkably spacious, and has been especially designed to decrease noise and vibration. Its comfortable seats are made from a combination of leather and high-quality durable materials, and even better…the interior lighting system illuminates to welcome you when entering the vehicle and also provides you with a choice between several lighting colours that instinctively switch on at night. The Ford Ranger has a dual TFT instrument cluster that displays the vehicle’s information – from infotainment to performance on a high-quality flat screen. It also comes with Dual Electronic Air-Temperature Control (DEATC) that will help keep you cool, calm and collected while in traffic, with cruise control assisting you during those long distance trips. While I was driving, Consolidated Auto’s salesperson, Marechelle Wallace, explained that the Ranger has seven airbags, which includes side and curtain airags, along with a reinforced safety cell that will help make your journey a safer one. Marechelle said the Ford Ranger Wildtrak is powered by a 5-cylinder 3.2 litre TDCi diesel engine that delivers 147kW power and 470Nm torque you should expect frm a 6-speed automatic 4×4, with improved fuel efficiency compared to the previous year’s model. This bakkie’s ultra high-strength steel chassis with excellent suspension design has been tested in the harshest terrains and climate to ensure that it delivers a stronger, smoother ride. With its unrivaled 3500kg towing capability, it is tough enough for you to tow the most strenuous loads with greater assurance. As I continued driving I was introduced to the SYNC3 fully integrated voice activation system. An 8-inch customisable LCD capacitive touch screen allows you to use your favourite devices while keeping your hands on the wheel and eyes on the road. You can sync your phone to call your friends and play your favourite music, as well as stay on track with the integrated navigation system. 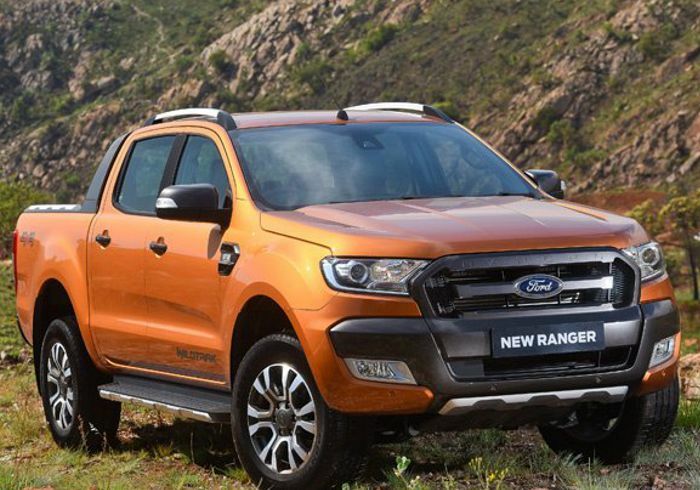 The Ford Ranger Wildtrak is available in a variety of colours, from Frozen White to Pride Orange – the choice is yours! Consolidated Auto is based in Boksburg and offers a wide range of Ford vehicles. Contact them to book a test drive or to find out more about the Wildtrak.